When I became a parent, I lived in 30 acres in a remote area of The Central Coast of NSW. Prior to my son being born I worked with dogs, for over 10 years. I had spent the majority of my late 20’s and early 30’s getting far away from people so I can facilitate 45 dogs plus on beautiful acreage and go dirt bike riding everyday. I can hear what your thinking … Not the most excellent set up for having kids, especially because my business back then was 24/7 and a baby is 24/7. I did get staff and management prior to my son being born and was able to be mum but when I got pregnant for the second time, I knew I needed to work out a few things, like support networks, business not being prime priority and also some self-care as I was not in a very positive relationship. Deep in my soul I yearned for friends. Real friends. Not the neighbours, not the familiar faces at the local shop or daycare but real, deep connections. I never knew how much I missed the social aspects of life, until I became a mum. I wanted the friends that I could see, that would check in on me, that I would check in on, and wanted to share life with me and with my children and if they had children, with their children. So, I moved my life and as the relationship didn’t serve me anymore and I held myself higher in esteem than I used too, I realised I needed to BE the role model for my kids that showed I was worthy, so I became a single mother to two under 3. I moved interstate to a new area and once my heart healed, my life healing began and I started to build a village for my tribe. This village that I talk about is not the village you may have come to know. It’s the kind that helps raise my children like the very true and popular saying, it takes a village to raise a child. It was hard to find and I am still building this village up 16 months on from the day I started. I found that the a romantic idea of having a village life doesn’t exist for everyone. In theory people seem to love this theory, but when it comes down to it, many are fearful, proud and generally misguided. And I think this is becoming a bigger problem for more of us as the social media interactions take the place of real-life connections. Don’t get me wrong. I love social media and the power it has to connect people. I am involved in two or three different single mums and mumpreneur groups on Facebook and the ability to connect to friends and family across the sea is invaluable so please understand I know there is a time and place for the online social connections, what I am leaning towards is that I am trying to create a true village, a face to face village. One with children of all ages, those that are married, the elderly, and the young, different relationships, different financial levels, careers and educations. I am looking for the village that embraces newlyweds, rallies around struggling marriages, supports families of all sizes, prays for both the trivial and life-changing, and helps raise and watch children like they are their own. Why? Because when the parenting village doesn’t exist, I easily get exhausted, burnt out, stressed, angry and plain in need of rejuvenation which is a challenge without support of a village. When a village doesn’t exist it is easy to point out the flaws and failures of other parents rather than lift them up, because we want support from uplifted and high vibrational people so why would we drag them down? When the parenting village doesn’t exist I turn more inwards, my emotions are easily boiled and my rational mind takes a back step. And these, all of these things, effect my children. If there is no parenting village I feel my children will be robbed of the opportunity to connect with children of all ages, financial status, education, gender, race and relationship status of their parents, their cultures, their family dynamics. Struggles always seem one sided and larger than life, and unmanageable when our parenting village doesn’t exist. I mean .. aren’t we all dying to connect in meaningful relationships with others? I know I am and I can sure vouch for my children. Living in a world where the individual is glorified over the community means that the village truly is a dying concept for far too many single parents and mums stuck at home. As a single parent and a mother, I just can’t do it all or know it all, but for some reason it’s expected that I can at least have the do-all attitude, even if I’m imperfect. In the end, I firmly believe that our lack of deep and committed relationships with friends and community is what makes single parenting and mumming more difficult that it has to be. I don’t think that the blogosphere is full of single parents and mums complaining. I think it’s full of people crying out for help and community for themselves and their tribe. I’ve started a village for my tribe and the benefits have been amazing and I cannot wait for it to grow over the years and encompass more people. Without my village my children and I would struggle a bit more, feel alone more often, do less things, experience little and not have the chance to feel friendship and emotional wholeness. Go find a village, from one single parent and a mother to another … make it your mission. It’s worth putting yourself out there for. 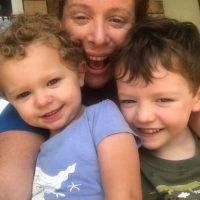 She is a solo mum to two young toddlers, Dustin & Monique and only one year into her solo parenting journey, made headlines throughout Australia with a first of its kind, a personally funded platform called ShareAbode. The aim of this platform is to connect single parents wanting to share the load of rental and living expenses. Allowing them access to higher standards of living, help with parental duties and support emotionally. Its a way for single parents to have an easier and more enjoyable journey and this also impacts their children. 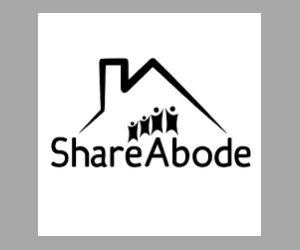 ShareAbode is fast becoming more than just a co-living platform for single parents struggling financially and emotionally, it is becoming a solution to help parents in abusive relationships escape with their children to permanent living situations as well as those that are homeless and need a way to just get on their feet. By offering reduced and zero properties of rental contribution in exchange for other help like cooking, cleaning, babysitting - it enables these single parents to go after the life they want for them and their kids without being constricted by limited finances. 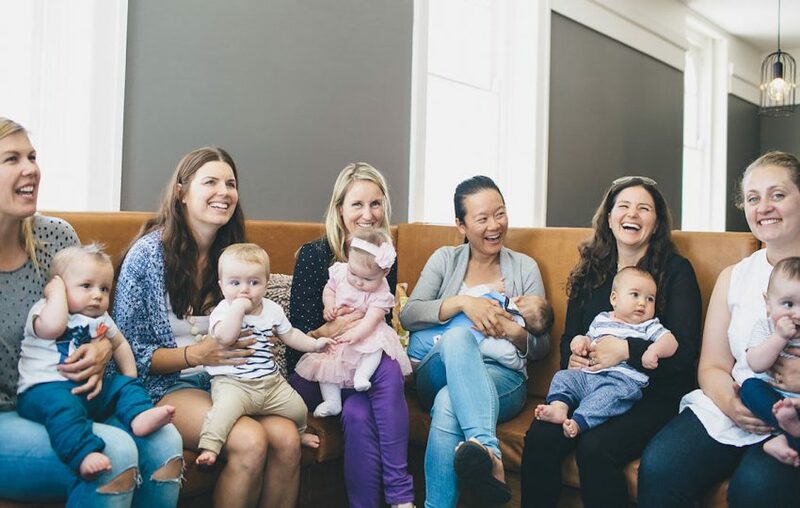 The journey for her with the founding of ShareAbode is the underlying message to her children that they can be, do have anything they want if they just believe in themselves and when you give, you get.